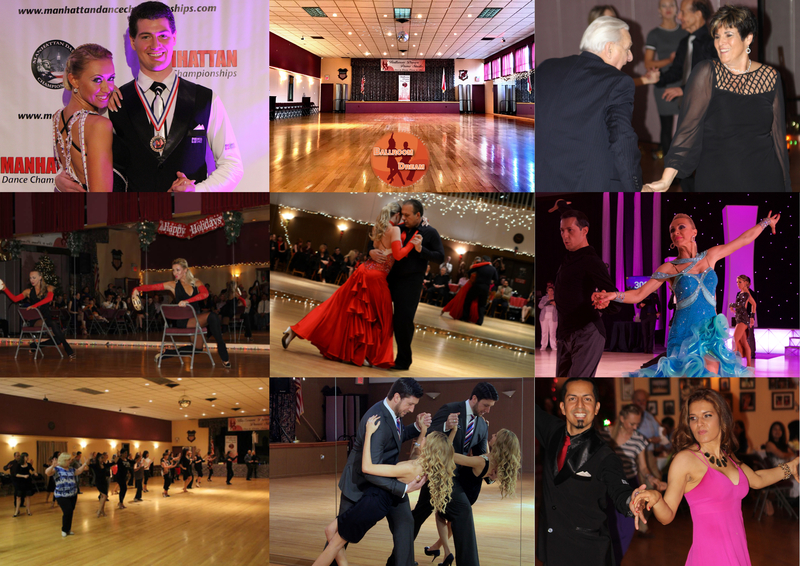 If you are reading this the chances are: you are either interested in ballroom dancing, you are a ballroom dancer or you are curious about what the attraction of ballroom dancing might be. Perhaps you've seen the very popular TV show ‘Dancing with the Stars’, and are now wondering what all the fuss is about. Well look no further. Here's a beginners guide, or should we say a list, of the ten reasons to love ballroom dancing. #1 – Health Benefits: According to researchers ballroom dancing provides the body with many health benefits. It may help reduce stress, increase energy, and improve strength, muscle tone, and co-ordination. But it isn't just physical. Ballroom dancing is a mental exercise as well. You can't have someone calling out the steps to you all the time. You have to memorize them and learn to do them without a second thought. Not only you are improving your body's health, but your mind's as well. In fact, dancing has even been shown to help prevent Alzheimer's disease. That alone is enough to make you want to keep dancing. #2 – Great Exercise: For many, this is one of the most important reasons to learn ballroom dancing. You'd be surprised how much of a workout it really is. From Waltz to Tango, it feels like every muscle in your body is working. No matter what your current fitness level, ballroom dancing is a great way to exercise without feeling like you're working out. #3 – The Music: Ballroom and Latin dance music is quite simply fabulous and it makes you want to dance. From classical Foxtrots from Frank Sinatra, to pop Cha-Cha beats from Bruno Mars, or hot Samba/Salsa songs from Enrique Iglesias… you name it! You can ballroom dance to your favorite music genre. Great music makes all the difference whether you’re practicing at home, in the Studio, or dancing the night away. And that's why the music is one reason to love ballroom dancing. #4 – The People You Meet: Like most walks of life dancing attracts all kinds of people but by far the majority of dancers are really nice people to know and great fun to be with. You can have a new set of friends you'd never have met otherwise. If you're single, it's also a great way to meet somebody! When we run dance events there are people all different ages & levels having fun dancing together! #5 – Find Inner Confidence: If you're shy or have low self-esteem, ballroom dance could be the best thing to happen to you. We highly suggest starting in a beginner class so you're not intimidated. After only a few weeks, you will start feeling more confident. And the best thing about it, this confidence will spill over into other areas of your life. #7 – Control Your Stress: There's something highly relaxing about ballroom dancing. You can lose yourself in the music and movements. You strike up fun conversations with your partner and other dancers. In no time, all your stress melts away. It's like a highly physical form of meditation. If stress is a problem for you, try a few ballroom classes and you will see a difference. #8 – You Can Do It All Over The World: Ballroom dancing is popular all over the world, and if you travel you will find it in all four corners of the globe. Some countries are more actively involved in dancing than others but you will seldom be far from a dance hall or studio wherever you may roam. #9 – It's Hard: Dancing is hard. Though it may seem easy! Week after week you go to lessons and come away safe in the knowledge that there is still so much to learn. But this isn't a bad thing. Learning and perhaps mastering things that are hard is part of the human condition and dancing will present you with a lifetime of learning opportunities and the associated feeling you get when you master just one small part of it. Dancing is rewarding and fun because it's hard. #10 – It's Just Fun: Whatever the level of dancing you achieve you will have fun. From the beginners taking to the floor for the first time, often with a terrified look on their face, through to seasoned professionals strutting their stuff at a dance demonstration dancing makes you feel alive and it makes you smile. That's got to be a great Reason to love ballroom dancing! Get out and be part of the fun. Meet new people through the universal language of dance. Dance lessons will get you out on the dance floor with your friends or maybe you'll catch the eye of that special someone. Be fit. Change your body, change your outlook, and change your life. Dance your way to a healthy body and happier lifestyle. Dancing is the answer to your sedentary days at the office. Make the change and be happy. Discover your hidden talent. Dance is a wonderful hobby that is both enjoyable and challenging at the same time. It's a universal skill that can be learned at any age and at any fitness level. We're all dancers at heart!